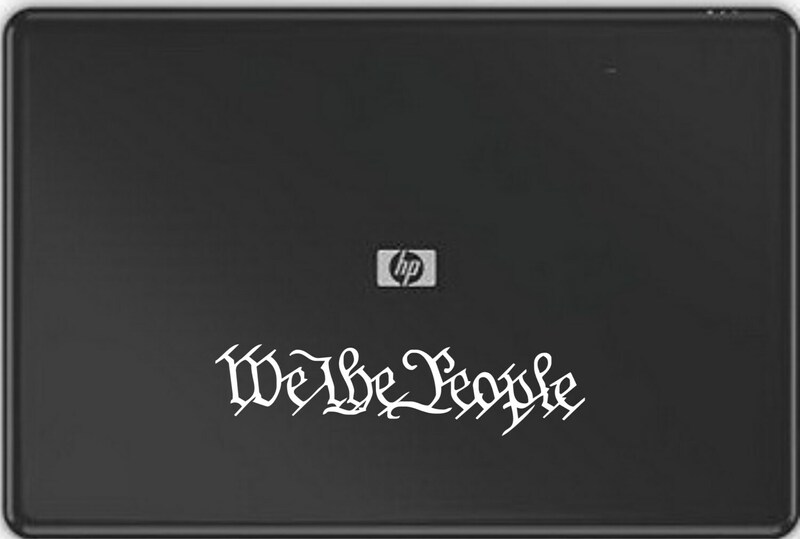 Vinyl decal- "We the People" is approx. 2 x 7.5 inches. Made with high-quality outdoor vinyl. Water and weather resistant. Will adhere to any clean, smooth surface: car, truck, boat, RV, refrigerator, laptop, wall, etc. 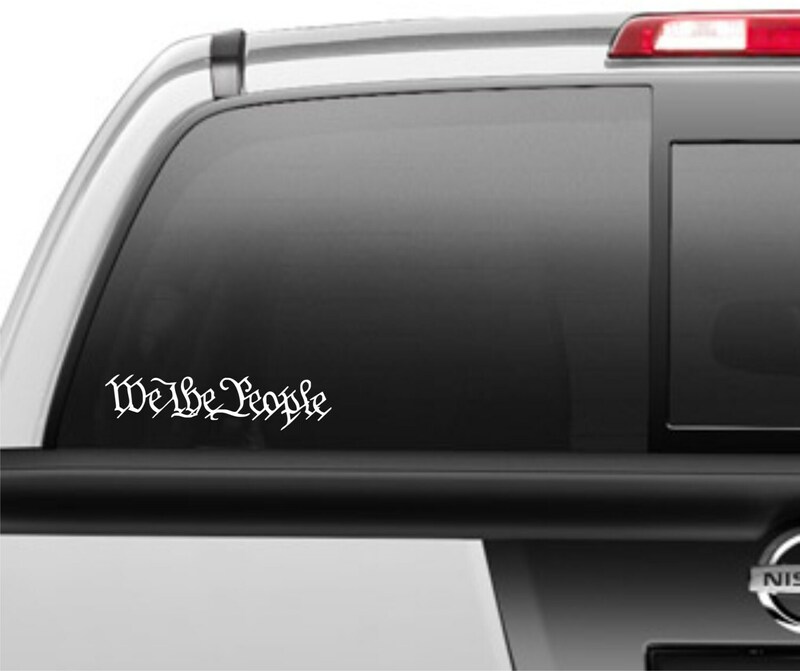 Show your support for our Constitution and American Pride! 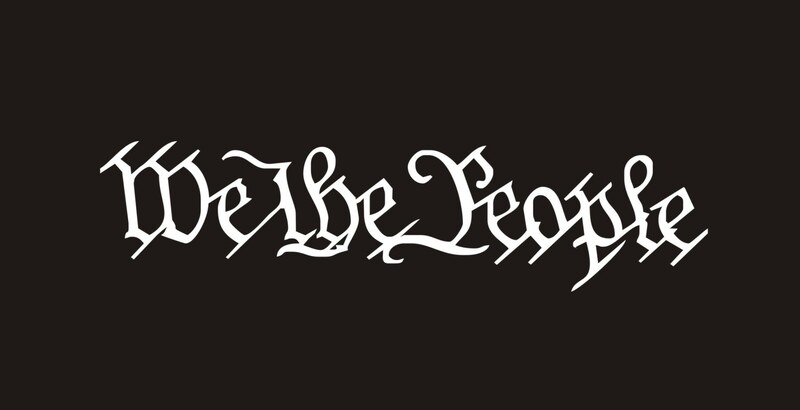 Three words, We the People.....says it all! *All of our customers receive a FREE surprise gift. These decals are easy to apply and will include installation instructions. These are NOT cheap peel-n-slap stickers!